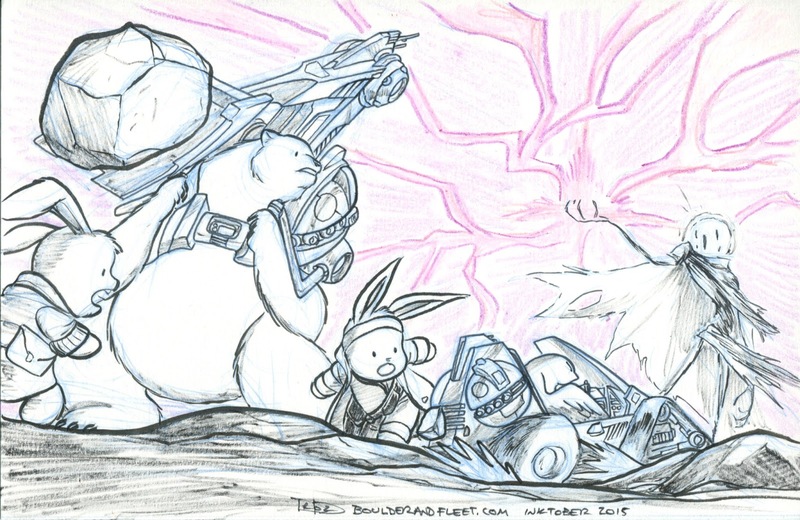 For Inktober 2015 I set myself the challenge to come up with 30 toyetic accessories and vehicles for Boulder and Fleet (and friends) to interact with. You can see them all here. You can get one of the sketches mailed to you by supporting me on Patreon!